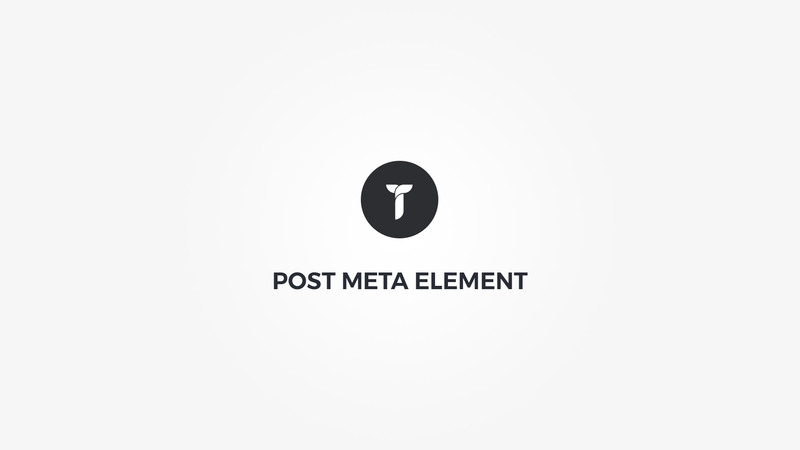 Post meta element displays the single post meta. Meta elements can be date, views, author, categories, tags, comments count or likes. Meta elements - Check to show/hide specific post meta elements. Click and drag the label to sort. Meta preferences - Adjust meta preferences. Meta separator - Select post meta elements separator. This option will let you adjust space between separator and elements. Nudge option can help you align the separator verticaly. This can come in handy if separator is icon and icon font does not place the icon in absolute vertical middle. Nudge moves relative top position of the separator. Font settings - Adjust meta elements fonts. Meta colors - Adjust meta elements colors. Container box style - Adjust .thz-post-meta-sh box style. Meta box style - Adjust Adjust .thz-post-meta-sh-holder box style.